What Is a Framing Hammer and Will You Need One? Length: It will be a few inches longer than a normal hammer, providing you with more leverage. Weight: Extra ounces in the framing hammer's head give more inertia for driving nails. Milled Face: It may have a ridged, milled hammer face to prevent slipping when the head strikes the nail. Claw: It may have a flatter claw. Compare a typical claw hammer's 16 oz. weight to this monster called the Pull'R Holdings D024C Deadon, which is 24 oz. Eight ounces difference may not seem like much, but consider that this is a half-pound and it is being held by one hand. The Great Neck SP28F framing hammer takes it to the max, at even 4 ounces more than the Pull'R. At 28 oz. for the Great Neck, you need to seriously consider your hand and wrist strength before buying this. Length of the framing hammer also may cause wrist strain. Inexpensive claw hammers run about 10 inches. Framing hammers add another half-foot to this to do the job effectively. Finally, some framing hammers may have a ridged or milled hammer face. While regular claw hammers may have milled faces, and vice versa, there are framing hammers that may not have this. If you are pounding nails into noncompliant lumber, you need all the help you can get. 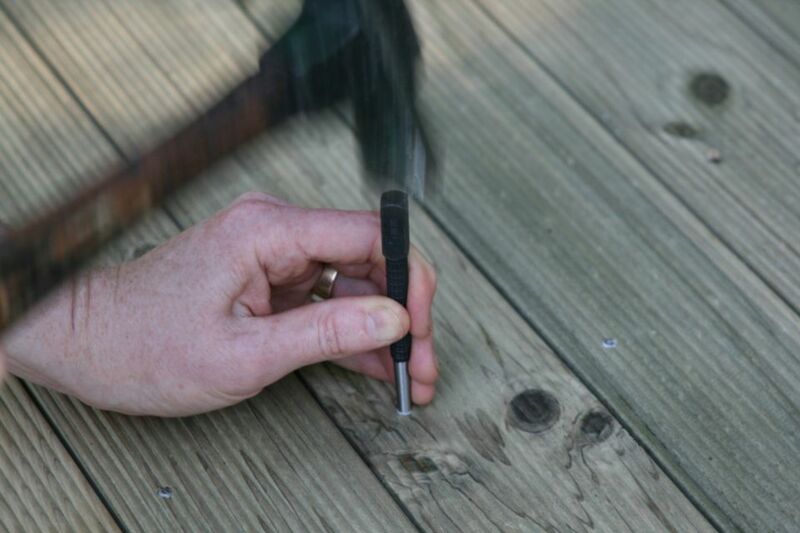 The ridging sure helps you pound harder without fear of the hammer slipping from the nail head. The ridging is not appropriate for most renovation projects where appearance matters. Hammer face ridging only works where you can pound away and not care that your building material surface is steadily getting pockmarked. A framing hammer is not for everyone and not for every home renovation project. If you shell out for a framing hammer, don't be surprised if it sits on your tool bench for months before you find occasion to use it. Plus, if you don't have the hand and wrist strength to swing 28 ounces, you may find that it sits in your workbench forever. What Is a Double-Glazed Window? Buying Quality Windows: Do Brand Names Matter? Double-Hung vs. Single-Hung Windows: Which One to Buy? Do Replacement Windows Pay for Themselves?